With over a decade of experience in delivering quality insulation work to the Atlanta area, Action Brothers Insulation has the knowledge, dedication and ability to equip your home or commercial property with the most appropriate insulation setup. We rely on specialized products and years of technical expertise to insulate homes and businesses quickly as well as properly, providing Atlanta property owners with increased comfort as well as the greatest amount of energy savings possible. Spray foam insulation is one of the three insulation installation methods we most often employ because of its ability to reach even the smallest spaces of Atlanta properties, creating an immediate air barrier through its application. The spray insulation we use is one of many examples of the specialized products we rely on to exceptionally insulate homes and businesses in order to provide Atlanta property owners with increased comfort as well as the greatest amount of energy savings possible. 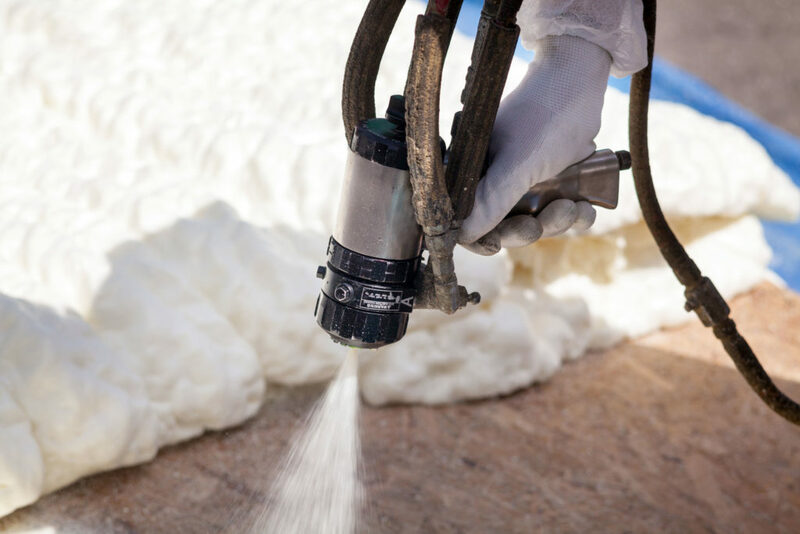 The insulation professionals of Atlanta’s Action Brothers create spray foam insulation by combining two liquids in order to create an instant chemical reaction that results in the creation of a polyurethane foam. It immediately expands after application and adjusts to fit the contours of the area in which it is applied. We utilize the spray insulation to coat areas of homes and commercial spaces with tight corners and small cracks that are otherwise unreachable in order to reduce the flow inappropriately warm or cold air, properly insulating each space for optimal energy efficiency and climate control. When installed by Action Brothers of Atlanta’s skilled technicians, spray foam insulation can reach maximum capacity of any insulating material, yielding nigh-unparalleled insulating power. Our pressurized system can reach the smallest cracks around door frames, windows and light sockets, as well as gaps around electrical and plumbing systems, molding to fit the shape of each space. Spray foam insulation never loses its shape or thickness, so it provides an air-tight barrier that other types of insulation may not be able to provide. Action Brothers’ Atlanta-based technical professionals apply spray foam insulation using professional equipment only available to licensed operators. This liquid-to-foam material is applied using a spray technique that directs the materials into the areas that other insulation materials cannot reach. No other insulation contractor has your best interests in mind like Atlanta’s Action Brothers does, and our technicians are awaiting the opportunity to prove that to you. Contact Action Brothers of Atlanta today for a Free Estimate. Our team of experienced professionals will see to it that your property receives the world-class insulation services that it deserves.